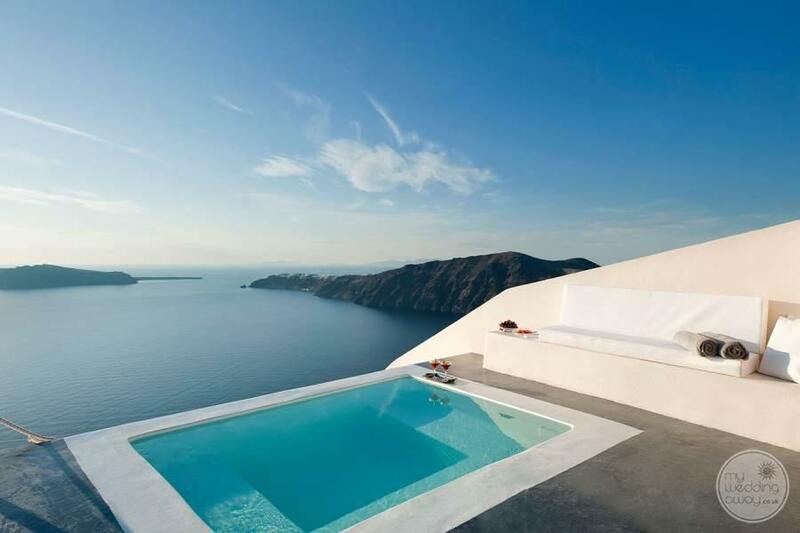 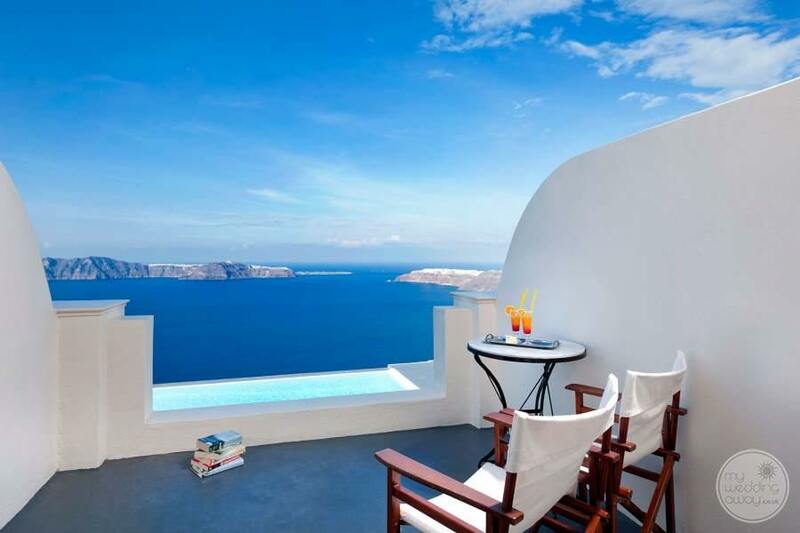 The Anastasis Apartments are perched upon the cliffs of the Caldera and as such, boast incredible views of the Aegean Sea. 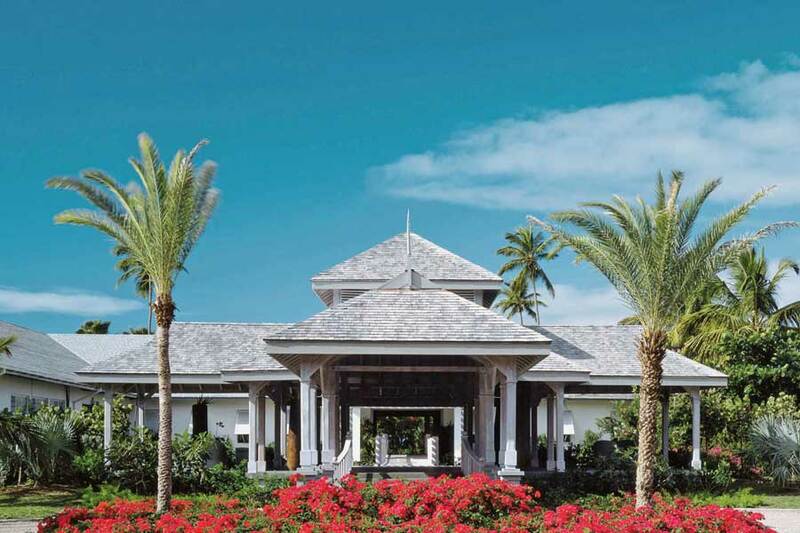 We love that this resort is situated in an area of serenity, surrounded by tranquil gardens where the scent of summer blooms hangs heavy in the air. 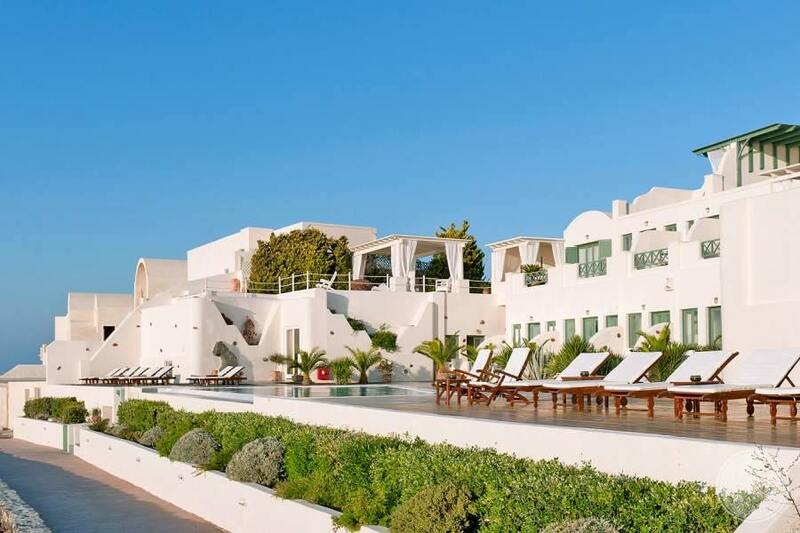 However, you’ll find plenty to keep you entertained in the nearby village of Imerovigli. 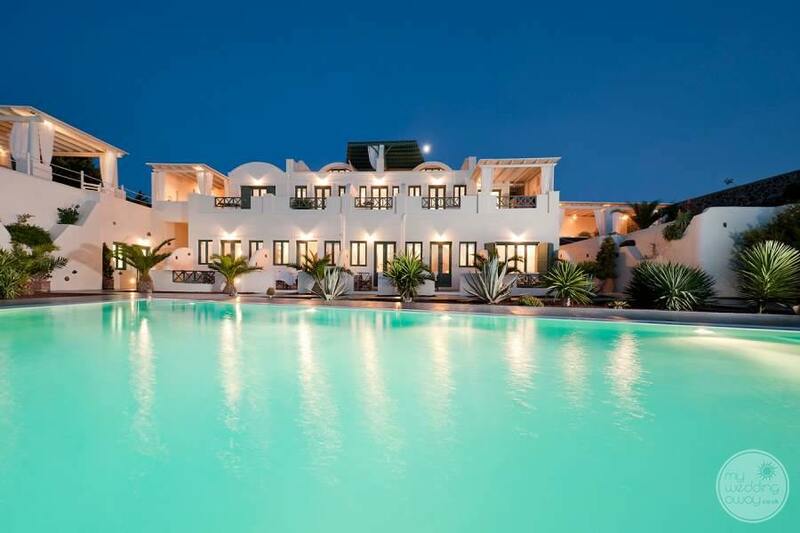 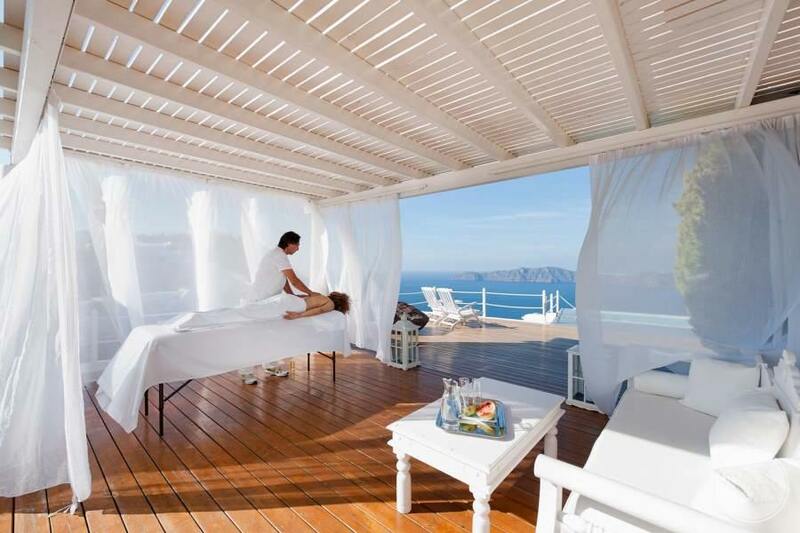 The Anastasis Apartments comprise of ten apartments and suites and one secluded exclusive villa. 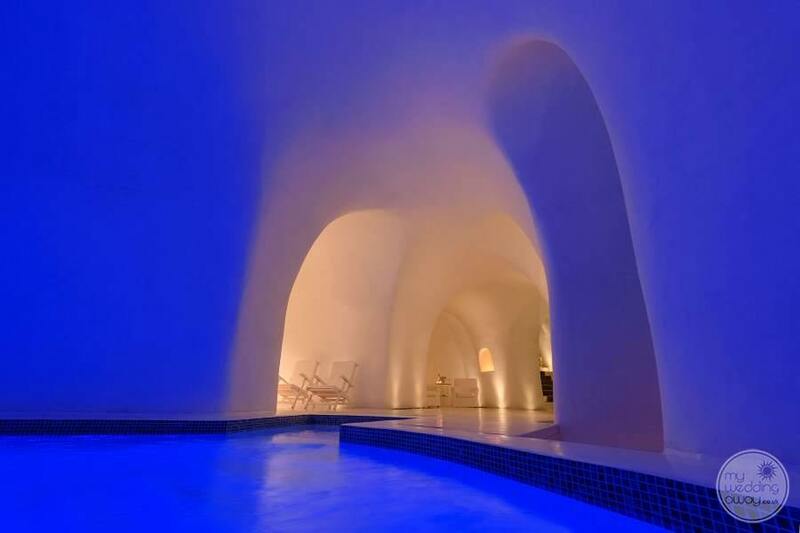 All are modern in style and boast numerous helpful amenities such as a fully equipped kitchenette. 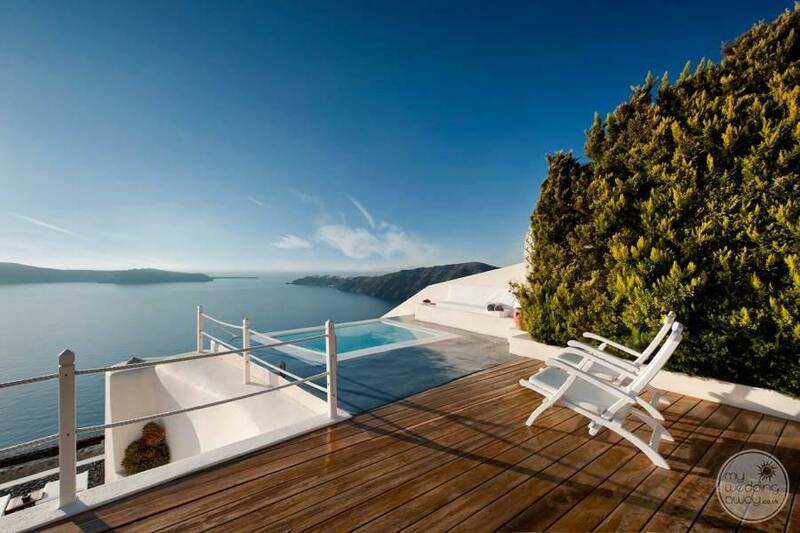 What’s more, they all have undisturbed views of the ocean. 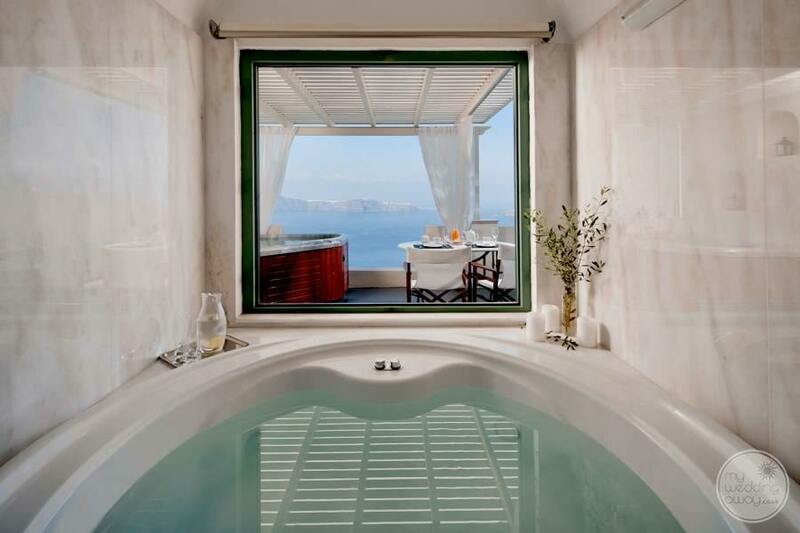 We particularly love the ‘Honeymoon Suite’ with an open plan layout and an outdoor jacuzzi tub. 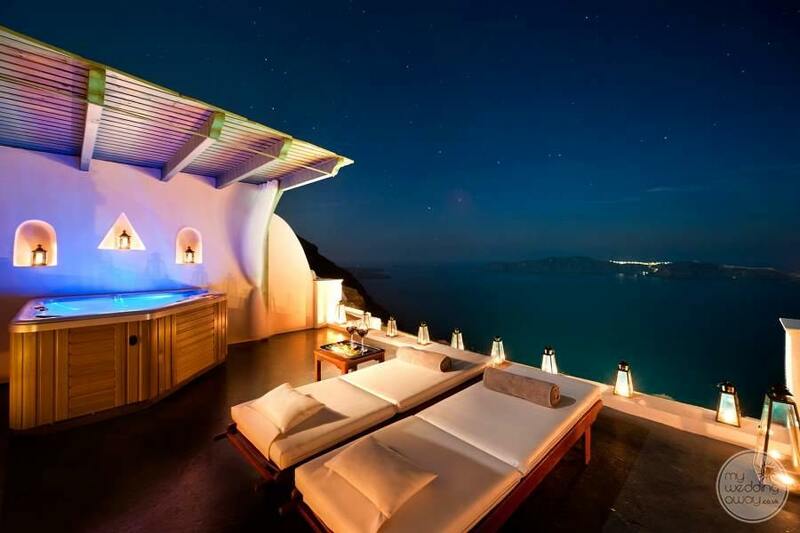 Or, treat yourself to your very own villa. 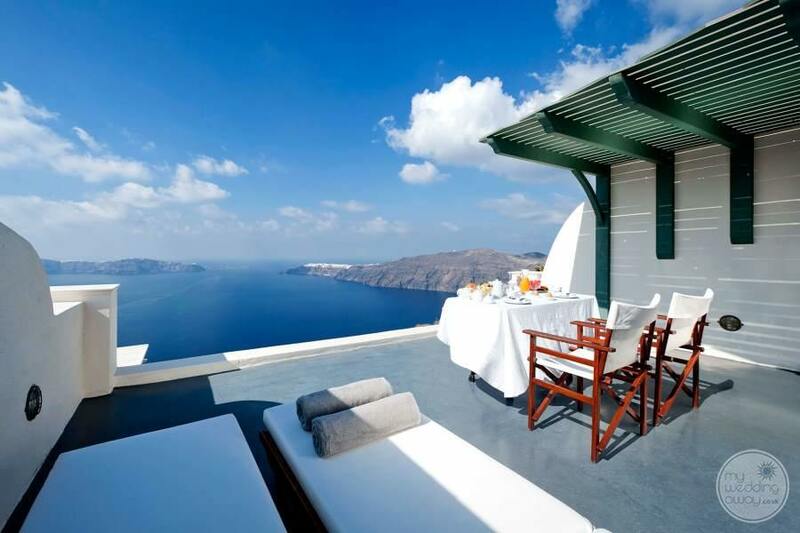 Built into the cliff-side, your extremely private accommodation will afford you the most romantic sunset views. 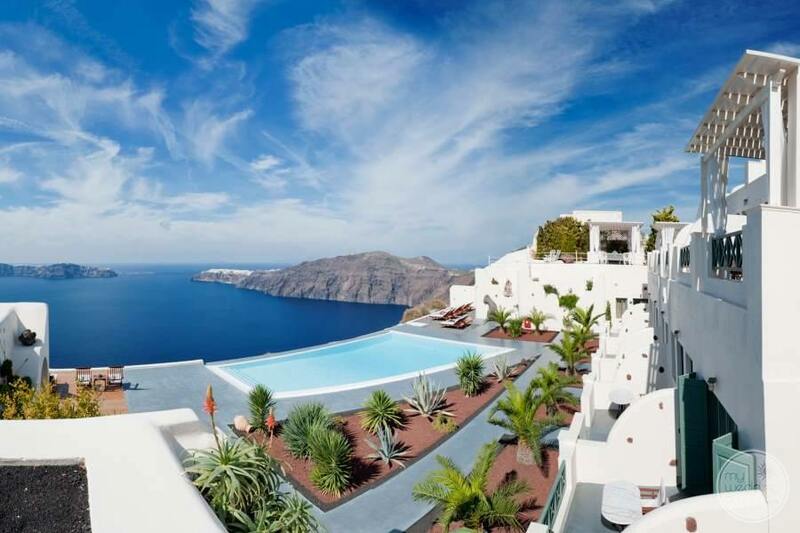 At the Anastasis Apartments, your civil wedding ceremony will take place on a terrace overlooking the majestic caldera, the endless blue Aegean Sea and the infamous Santorini sunset. 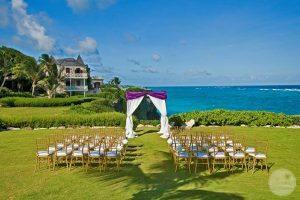 We can’t think of a more impressive backdrop to those all-important wedding photos. 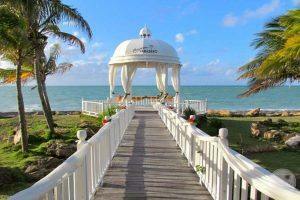 This resort is ideal for smaller wedding parties seeking an intimate yet luxurious venue. 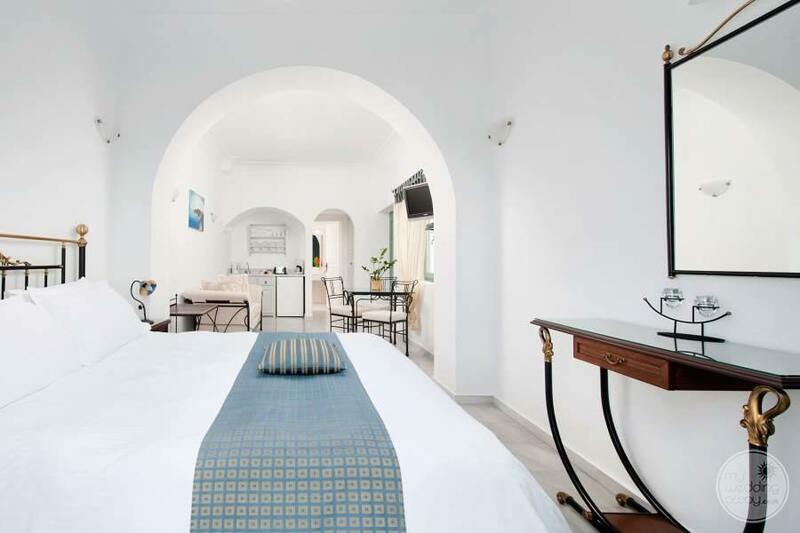 Here, we would recommend that the wedding couple take the villa and guests enjoy the surrounding rooms and suites. 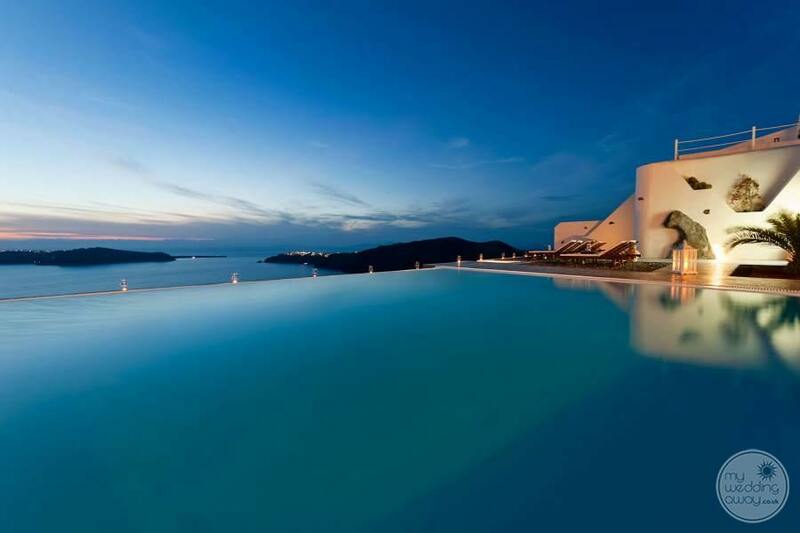 Better still, book in advance and take the whole resort!